The work of the late Tobin Siebers has influenced Disability Studies in field-shifting ways since the publication of his prize-winning essay “My Withered Limb” in 1998. His subsequent scholarly publications including the books Disability Theory (2008) and Disability Aesthetics (2010) as well as essays such as “A Sexual Culture for Disabled People” (2012) quickly became pivotal works in the field. 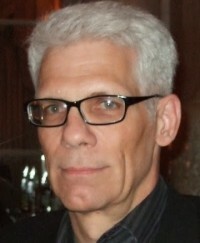 Siebers’s work has galvanized new scholarship in relation to questions of representation, subjectivity, and the entry of non-normative bodies into public space, and made the study of disability a central component (alongside gender, race, sexuality, and class) in analyses of the culture wars and identity studies. To honor this remarkable legacy, the University of Michigan Press and the University of Michigan Department of English Language and Literature announce the establishment of The Tobin Siebers Prize for Disability Studies in the Humanities, for best book-length manuscript on a topic of pressing urgency to Disability Studies in the humanities. Reflecting the work of the scholar the prize commemorates, the competition invites submissions on a wide range of topics, from literary and cultural studies, to trans-historical research, to contributions to disability theory such as work in crip/queer studies. Winners will receive a cash prize of $5000. The winner will be announced in January, 2016 at the Modern Language Association and will receive a contract from the University of Michigan Press to be published in the “Corporealities: Discourses of Disability” series. The winner will also deliver an invited lecture at the University of Michigan English Department, related to the subject of the book. Eligible submissions are complete book-length monographic manuscripts not under consideration by another publisher. Manuscripts should be submitted by September 15, 2015 in digital format using the web form at umlib.us/siebers, along with 1) a description of the manuscript, 2) a statement regarding its relative contribution to the field of Disability Studies, 3) the word count and illustration count and 4) a current curriculum vitae. If you would like to make a gift to support the Tobin Siebers Prize for Disability Studies in the Humanities please visit umlib.us/siebersfund. The Tobin Siebers Memorial Fund has been established through a gift from the University of Michigan and will grow through the support of individuals and organizations interested in seeing Dr. Siebers’s work continue. Your support will enable distinguished scholarship on disability to be published and also fund an annual lecture in honor of Dr. Siebers. If you have questions about making a gift or prefer not to make your gift online, please call Mari Vaydik, Director of Development, at (734) 936-2384 or email her at mvaydik@umich.edu.